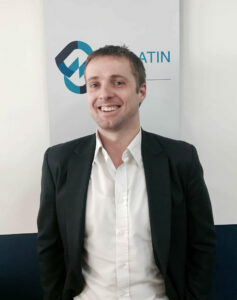 Craig helps our clients to navigate their way through the Latin American business environment. As the Group CEO and Co-Founder, Craig possesses a first hand understanding of the challenges and rewards of starting and growing a business in Latin America. Often the first point of contact for business looking to enter the region, Craig’s initial role is helping clients to understand the local market, and then with helping them to navigate their way through the complexities of the local business environment. A key focus for Craig is working with our strategic clients looking for regional solutions, whereby he helps our clients to leverage market synergies, to access regional opportunities and to ensure effective and harmonized operations with the most effective business structuring. Although based in Colombia he spends 5 to 6 months a year travelling throughout Latin America and is a regular sight in all of our offices across the region. Some notable clients include the Imperial Group (UK), Cargo Jet (Canada), Sedgman (Australia), Laconia Resources (Australia), MHM Metals (Australia), Horton Works (United States), Ascot Resources (Australia), Hexa Resources (UK), NexPay (Australia), HubSpot (US), Vistra (UK), Velocity Global (US), MedReleaf (Canada), Novum (US) and Hopper (US). Craig serving with the Australian Army before becoming an Entrepreneur and Business Owner in Latin America. 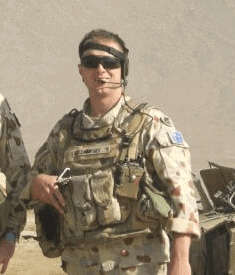 Craig is Australian national and served, and continues to serve on a part-time basis within the armed forces of Australia. As a commissioned officer in the Australian Army Craig has completed multiple combat tours to Central Asia and the Middle East. After leaving the military he transitioned to the Mining Sector and rose quickly to the executive levels, working in Australia, Canada, Peru and Colombia. Craig is a graduate of the Royal Military College and the Australian Defence Force Academy. He is also qualified Professional Mechanical Engineer from the University of New South Wales, and also holds a Masters in Project Management. “I would encourage all aspiring entrepreneurs and business owners from Australia and/or all parts of the world to give it a go. With commitment, determination and hard-work, anything is possible. You just need a good idea, an opportunity and a great team. “My Advice to new entrepreneurs and business owners is to firstly Identity a market opportunity, then to most importantly validate the economics of your business idea, a step often missed by new entrepreneurs. Then once ready, incorporate a local company, hire the best people that you can afford and then do not accept failure”. To speak directly with Craig Dempsey and to see how he can help you with your business needs in Latin America and/or to learn more about his experience living / working in Latin America please contact him directly at [email protected] and/or visit our corporate office anytime in Bogota, Colombia. The Biz Latin Hub Group is the leading provider of Market Entry and Back Office Services within Latin America; with offices in El Salvador, Belize, Panama, Costa Rica, Mexico, Brazil, Colombia, Ecuador, Peru, Chile and Argentina the Group is able to offer Business Owners and Entrepreneurs in Latin America unparalleled support across the Region. Please see below a short video to learn more about the history of the Group and the services that we can offer to our clients in Latin America.